For all-outdoor systems, ExploreAir allows networks to increase backhaul speeds in excess of 600 Mbps over long ranges. Exalt says its ExploreAir line offers the highest guaranteed per carrier Ethernet throughput that’s available in sub-60 GHz bands. These capabilities make it a valuable investment if you ever need to sell your used Exalt ExploreAir radios or other networking equipment to us here at Worldwide Supply. 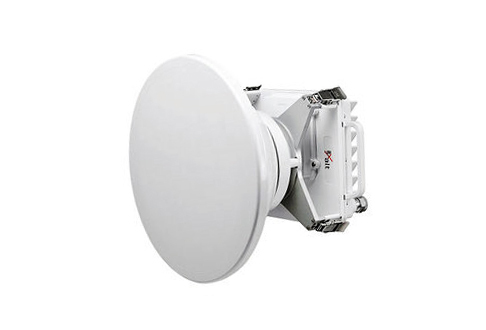 The Exalt ExploreAir microwave radio systems were designed to help operators manage their backhaul under ever-increasing demands. The system claims to deliver the highest per-carrier throughput in the smallest form factor, allowing you to save space, power consumption and cost. Components can achieve 100 to 740 Mbps in established worldwide bands such as LMDS, natively supporting both hybrid TDM/IP and IP/MPLS networks. Models from Exalt can be deployed on the network edge as well as the network core, and you’ll get multiple benefits, including CAPEX requirement reductions for private networks as well as service provider networks. Worldwide Supply has a robust line of new and refurbished Exalt ExploreAir radios available for you today. Our experts can work with you to find the right model and configuration to match your needs. Our certified used Exalt ExploreAir models are brought up to OEM standards and are fully warrantied so you can expect significant savings plus all of the quality the Exalt name brings to the table. Fixed-line operators, cablecos and tower services focusing on high-capacity backhaul networks rely on the ExploreAir system to speed up time-to-market and lower sparing costs, even on large network builds. Mobile operators focusing on today’s latest LTE and WiMAX technology are deploying ExploreAir in nearly all base station configurations, with models that perform well in pico, micro and macro roles. Enterprise parks, governmental organizations and WISPs are turning to ExploreAir to support network aggregation, high-capacity connectivity and WLAN backhaul operations.